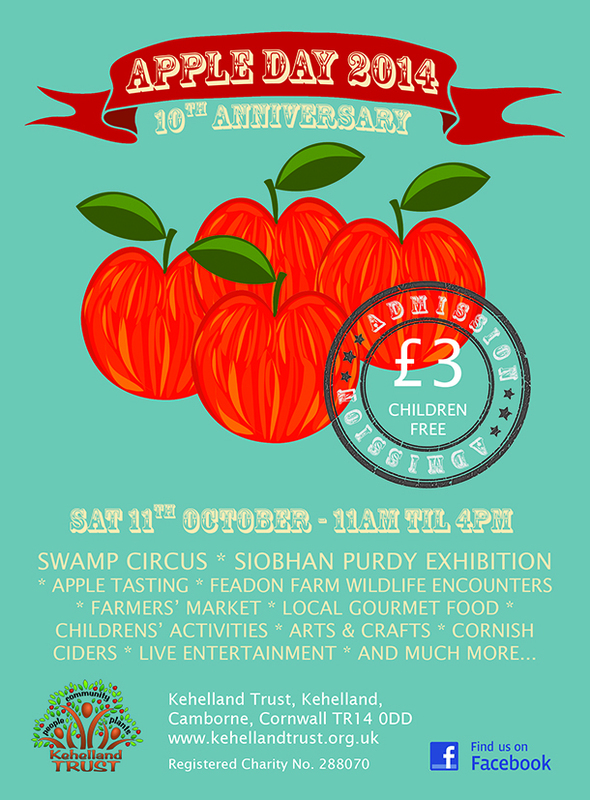 Come and join us for the 10th anniversary Apple Day on Saturday 11th October, 11am til 4pm. You may be aware of t fact that we no longer have any local fresh fruit/veg shops in Camorne that is apart from s upermarkets which tend to mostly sell stuff from abroad and do not cater much if any for single person households. Why don’t you have a stall/s open til say 4pm on Fris better still 2/3 days weekly, possibly in the market (said to be behind Argos)? Potatoes and the like also tend to be heavy and many of us don’t have cars. It would be good if someone sells veg and fruit grown in the county or England at reasonable price and if necessary provides transport for such goods. Alternativelly it would be good if someone developed a weekly sale van around Camborne (and other areas where there is none) After all there are 100s of disabled and older persons on their own who have n0 transport/are unable to carry heavy items. nb I hear that somone does a weekly veg/fruit van around St Ives area, also another does a fresh fish round and I know an excellent butcher does a v wide round twice weekly all round Truro and other areas. I cant find any veg/fruit on your web. We fully understand what you are saying and wish we could be in town with our wares more often, and possibly do a veg and fruit round. I used to have Mr Abbey in St. Erth who came round every week with his veg and fruit van!